Another of the landscapes Picasso produced at La Rue-des-Bois reinforces the link between Picosso and Paul Cezanne. 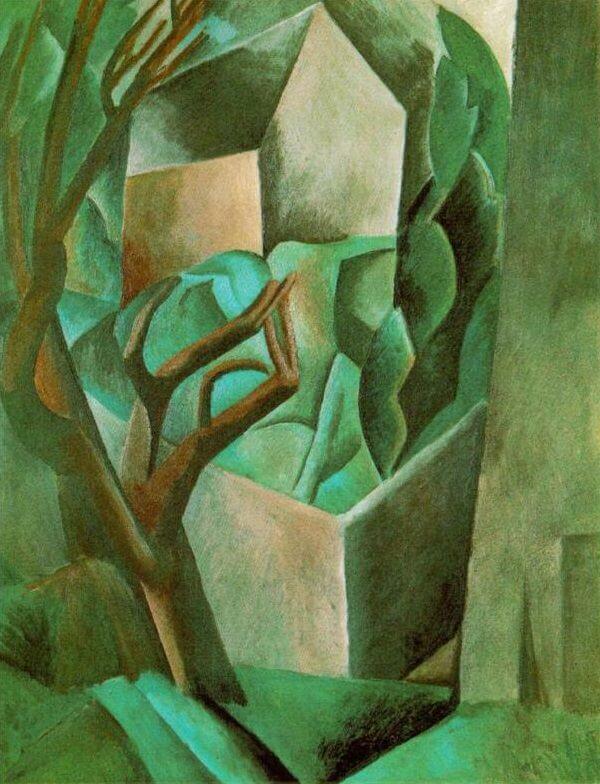 Here Picasso presents a humble scene, a small house fenced off from a pathway and framed by two trees. In the background a third tree appears silhouetted against a bluish-grey sky. It is the absence of detail and the solidity of the forms that relates most closely to Cezanne's work.